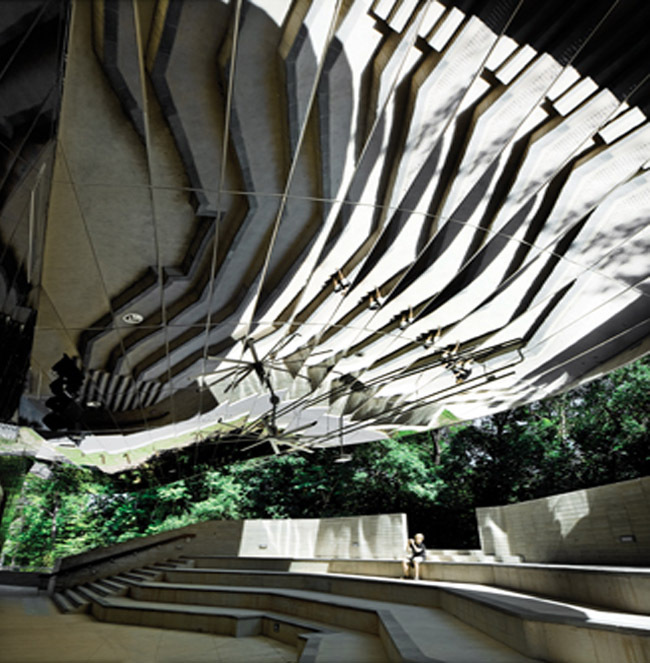 Situated in the midst of the rainforest in Far North Queensland, Australia is the cleverly camouflaged Cairns Botanic Gardens Visitors’ Centre designed by Charles Wright Architects. 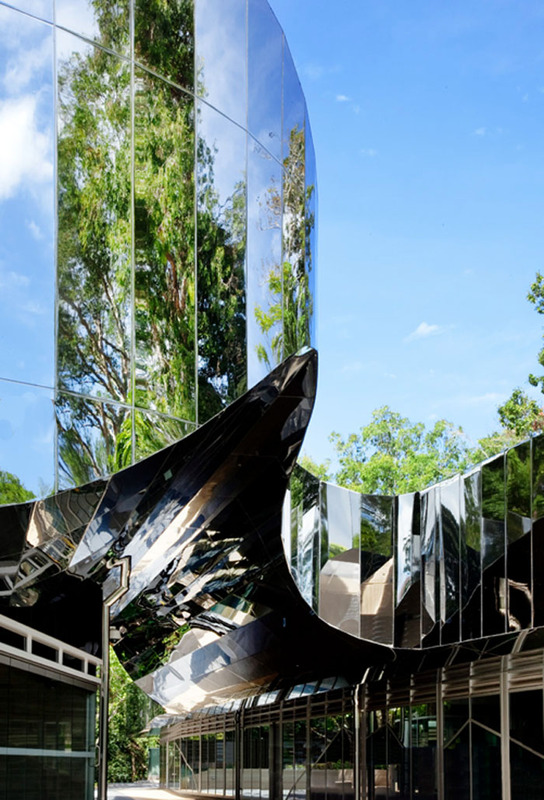 The mirrored – almost prismatic – façade, walls and soffits of the recently completed building reflect the lush green surroundings adding a coolness to the tropical location. Met with the challenge of designing an iconic “green” building, Wright Architects responded by producing an ESD canopy as a gateway into the gardens. The structure is a sustainable solution that doesn’t rely on complex technology yet provides thermal convection, water harvesting for reuse, chilled thermal massing for cooling, and renewable energy generation. The Cairns Botanic Gardens Visitors’ Centre is an example of a new progressive direction for tropical design. Plus, it has a very sci-fi look, to boot. If you like the look of this building, check out Rob Mulholland’s Vestige Installation too.